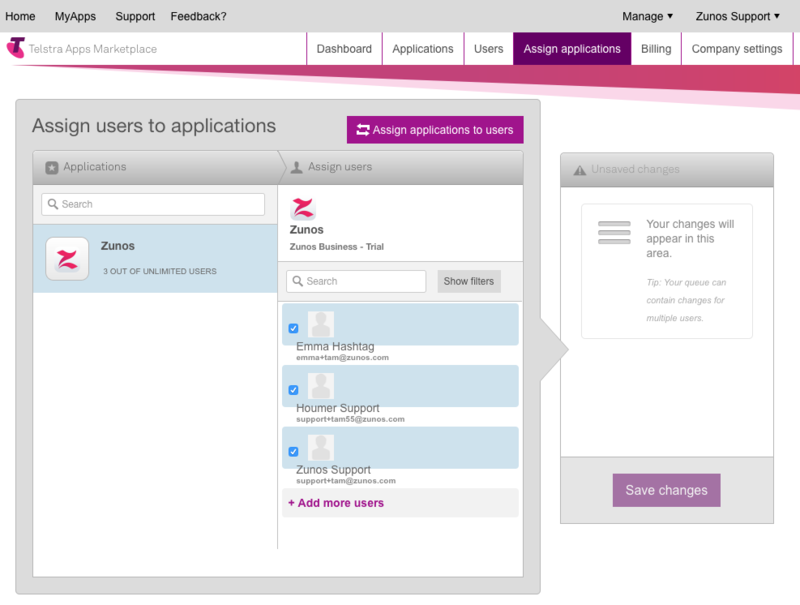 Telstra Apps Marketplace makes it easy to manage your mobile users across multiple platforms such as Zunos. Simply login to the Telstra Apps Marketplace account using the details provided by your Telstra account manager and follow the steps below. Click on the Manage Tab at the top right hand side of the marketplace menu bar. A drop down menu will appear; click on the Account option from the list. 4. You will now see the list of applications that you have purchased. Find Zunos within the applications list and click on it. 5. 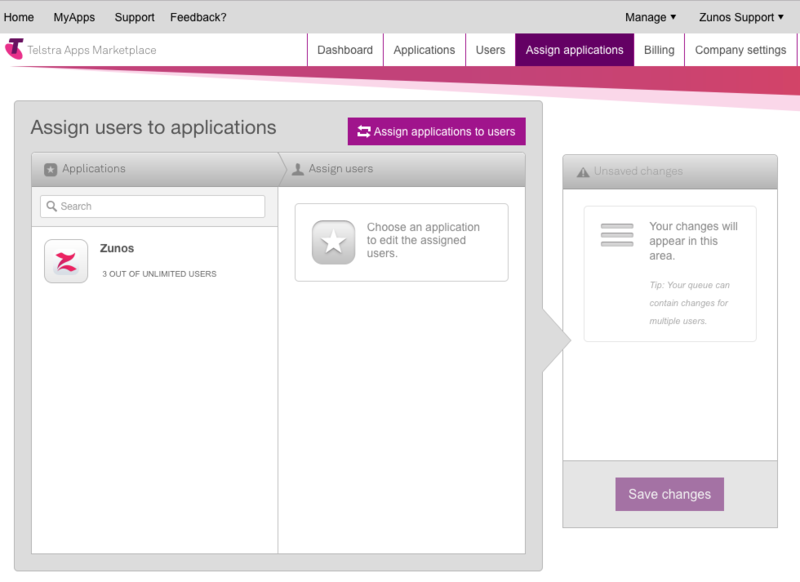 Find & select the user you wish to assign. 7. The user/s will now receive an email notifying them that the application has been assigned. 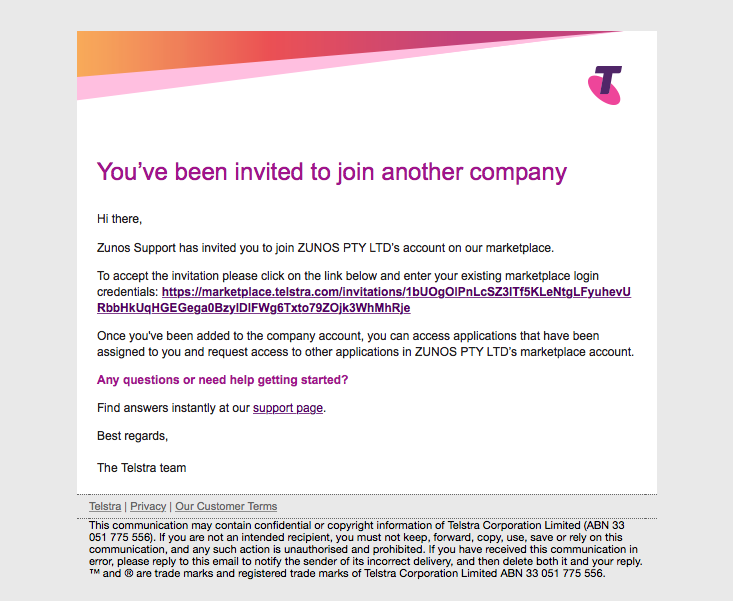 At this stage Telstra Apps Marketplace will also allows users to complete their user details, including first and surname. Please ensure users complete their details before proceeding otherwise their details will appear blank in Zunos. 8. 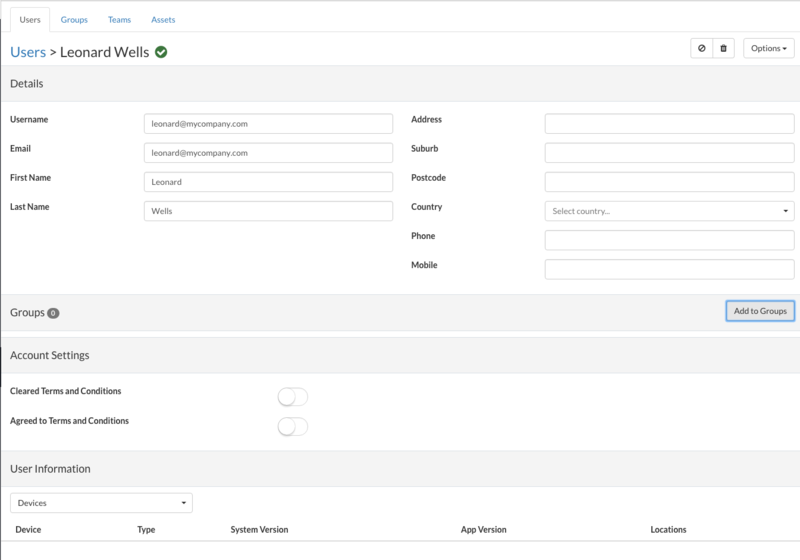 To check if your users have completed their user details, simply login to the Zunos admin portal and look under the users section. 9. Users then will be able to access the application through the My Apps tab on their toolbar. Note: After assigning users to Zunos please allow the assigned users to complete their user name details, TAM will send an email for users to complete their details. Check to see this have been completed by your users in the Users section of the Zunos admin portal. It's important to enter details, or the users first and last name will appear blank in Zunos.